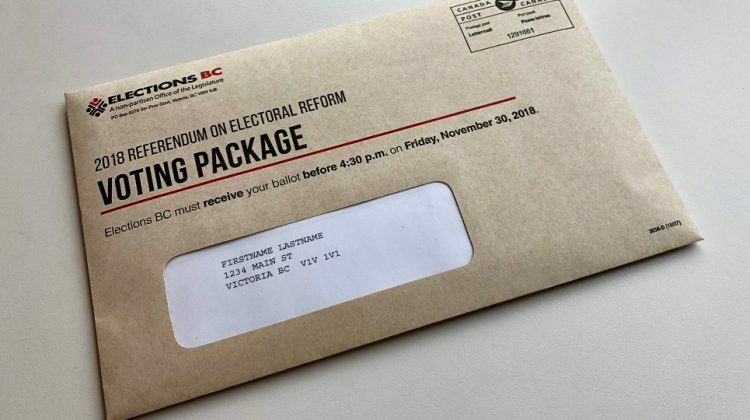 Voters have until 4:30 PM tomorrow (Fri) to get their electoral reform ballots to Elections BC. At this late date, your only option will be to drop them off at a B.C. Service Centre. As for the ballot returns to date, province-wide, around 35 per cent of the packages have been returned. That number varies per riding, but in Courtenay/Comox and Powell River/Sunshine Coast, 45 per cent of the ballots have been returned. In the Cowichan Valley, that number is 40 per cent and in Nanaimo just over 37 per cent have been returned. In Parksville/Qualicum and Saanich North and the Islands the return rate is the highest at around 50 per cent. Elections BC will begin counting the ballots after the close of voting, but how long it takes to count the ballots depends on turnout.